Photos represent our lives, our families and friends, and past generations. Memories come alive as folks sit around the photo album reminiscing about people and celebrations. Discs are great to store memories, but without a device to watch them on, they are nothing but a file for your memories. No matter how far we have come digitally, it is still fun to pass the hard copies of the photos around for all to see and comment. Abode’s long for unique pieces of art to adorn the walls. 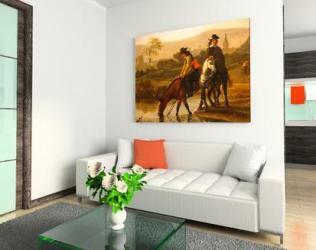 Easy Canvas Prints will turn your precious photos into beautiful canvas art worthy of a gallery. 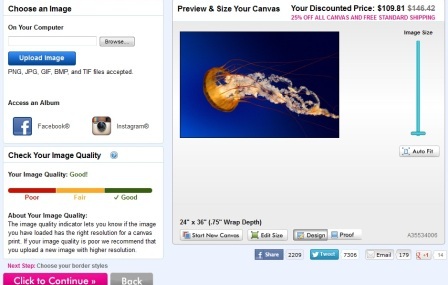 Easy Canvas Prints are high quality, carefully crafted, and definitely a deal. 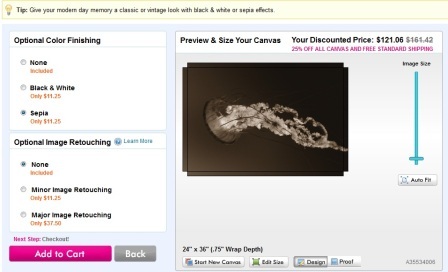 …No matter what size or what wrapping options, you are guaranteed a beautiful quality canvas for an affordable price. 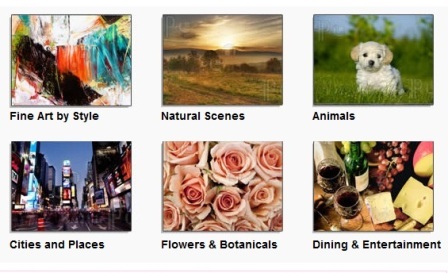 …In four easy steps, turn your photos or graphic designs into beautiful art pieces for your home or office. Canvas Art is the perfect way to decorate or commemorate a special moment. 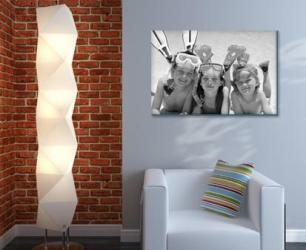 Now you can display your beautiful photos on the walls as canvas art. Easy Canvas Prints are available in three canvas thicknesses and a multiple of sizes from 8” X 8” to 24” X 36”, as well as custom sizing. 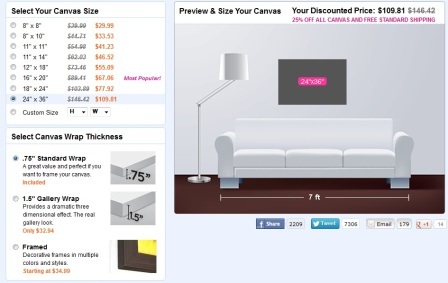 Choose your canvas size and thickness; you can even preview the size canvas hung on a wall over a sofa. Choose an image; upload from your computer, Facebook, or Instagram. Then preview and size the image to your canvas. Choose style and select border option of either mirror image, image wrap, or a border color. The last step is fun you get to choose optional color finishing and image retouching to perfect your already beloved image. Simply add your finished piece to the shopping cart to place your order. Have fun decorating the walls with canvases dressed with memories. Arrange a lovely grouping. Remember art should be hung at eye level in order to look its best. Every time a guest enters your abode the artwork will become the center of the conversation. Enjoy your remembrances, look forward to making new memories, and never be afraid to dance!